Party 'til the break of dawn! A bitter argument between the sun and the moon has rocked Mario Party world. 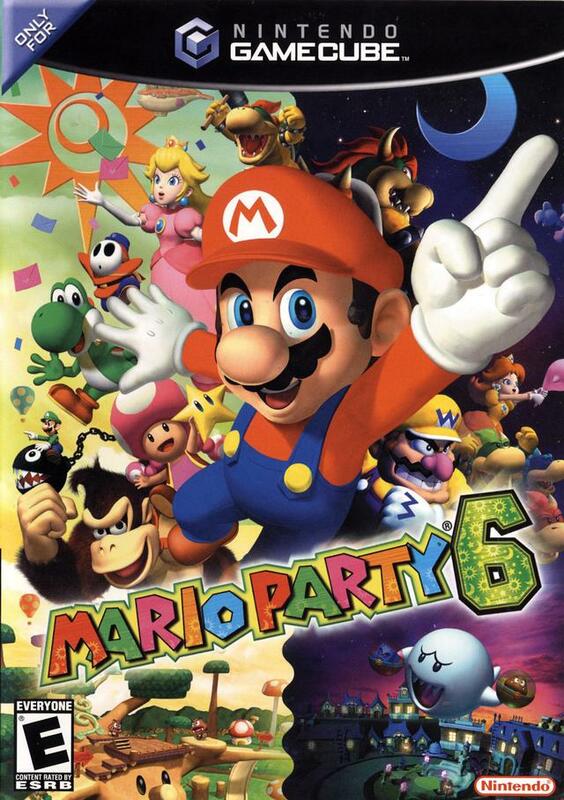 It's up to Mario and his fellow party animals to party hard and end the furious feud! Travel to all-new Board locales from the green branches of Towering Treetop to the sandy shores of Castaway Bay. Mario Party 6 offers a new batch of games that require both your fingers and your voice. More than 80 minigames are included. In this installment in the Mario Party series, you can use the included microphone controller to talk your way to victory. It came in amazing condition. It works fine. I happy with the purchase. This game brings me so many memories of my childhood when I play this game! I have to thank Lukie games for delivering this game for me! ?? I loved this game, used to play in college with my friends and missed playing it once we all graduated. I had to get it for myself and it's so much fun. I could play it almost everyday. It works great and I've had no problems with the disc at all. Very pleased with it! 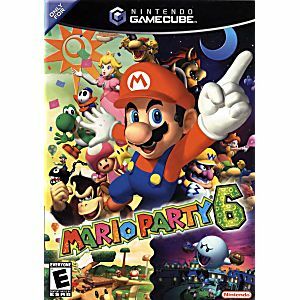 My favourite Mario Party! worked great and in great condition! Great addition for the Mario fan! Purchased for my son who has been asking for this for a while. Condition was excellent and he's a happy gamer. This is classic Nintendo at it finest, great multiplayer for everyone. My Favorite Mario Party Yet! I really love Mario Party for the gamecube and have been slowly building myself a collection. I own 4,7 and 8 and had heard good things about this game so I began hunting for 6. What I found was that it was grossly overpriced- this is the only site you are going to find it for less than $100-200 so I would highly recommend buying it here!! This game is fantastic. The boards are really interesting because throughout the game it will switch from day to night, and the board and games will change depending on the time of day. This makes for gameplay that wont get old as quickly. There also is a bonus board you can purchase for 100 stars that is really fun and original. I highly recommend this game, and I especially recommend buying it from this site! I was very worried that I would not find gamecube games. After calling several game stores and was told they did not know where they could be bought.I was just about to give up when I tried Lukiegames. My grandson was very happy Chirstmas morning.He has not had any problems. Thank you so much.I will always check first with you .